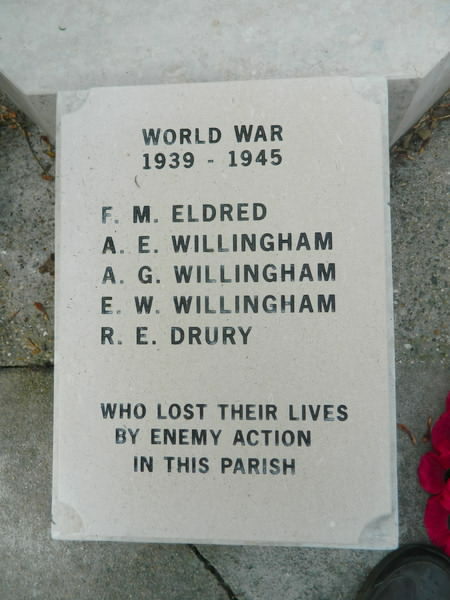 Those who lost their lives during enemy action within the village. Singapore Memorial RAF Volunteer Reserves. Hit by enemy torpedo mid atlantic. Son of George and Caroline Twitchett. 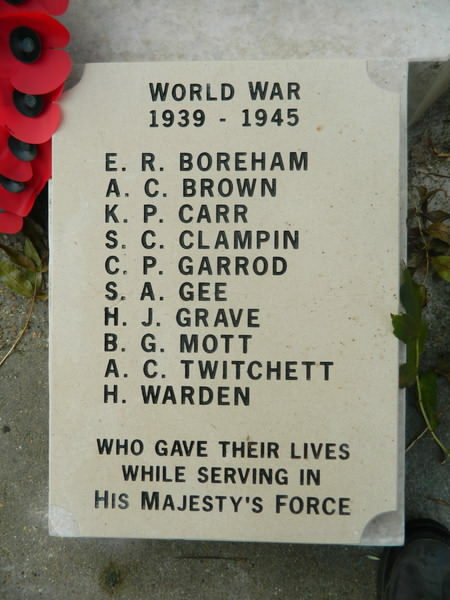 This seaman is not recorded on the Memorial, as he was no longer a resident of Bures. However, the Alleston family were well known in the community.